In 1969 photo journalist Moneta Sleet became the first African American to win a Pulitzer Prize for journalism. In 1969 photo journalist Moneta Sleet became the first African American to win a Pulitzer Prize for journalism. 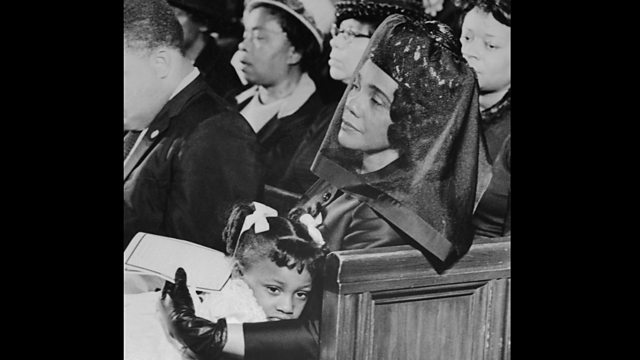 He won for the black and white image of Coretta Scott King the widow of Martin Luther King taken at the funeral of the murdered civil rights leader. Farhana Haider has been speaking to Moneta Sleet's son Gregory Sleet about his father's remarkable career capturing many of the images that defined the struggle for racial equality in America.